Never before have I driven a more explosively powerful car than the F90 BMW M5. 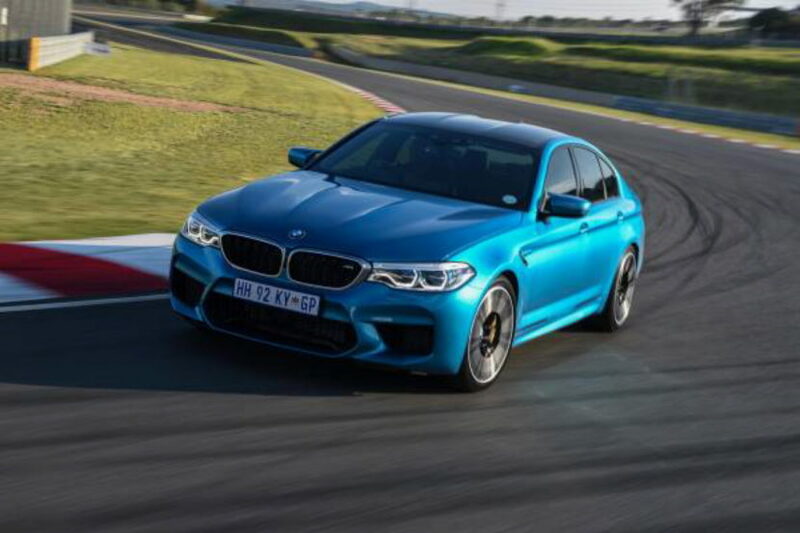 With its 4.4 liter twin-turbo V8, 600 hp and all-wheel drive, the new M5 simply detonates forward with even slight prods of the gas pedal. It’s violent and terrifying and wonderful. But it isn’t the only sedan on the market to be so explosive. The Mercedes-AMG E63 S exists as well and it’s every bit as fast and violent as the M5. Two super sedans with Ferrari-killing speed. What a time to be alive. But which is faster in the real world? In this new video, we get to see some official Vbox timing for the BMW M5 on a highway in Russia (which seems unbelievably unsafe) and the key time to watch for is 100-200 (62-124 mph) km/h. That’s an important figure because it shows off just how explosive a car is all the time. Many cars can be fast off the line with clever launch control but being able to accelerate hard while already at high speed is an impressive display of power. Something both cars can do well. While we don’t get to see any official Vbox times for the AMG, we do get to see them for the BMW M5 and then we get to see a rolling drag race between the two. For the official times of the M5, it pretty consistently took 6.7 seconds to do that sprint. That’s Porsche 911 Turbo/Ferrari 458 fast, in a four-door luxury car. That speed shows in the rolling drag race, which the M5 handily wins twice in a row. With unofficial rolling drag races, minor wins can be attributed to poor downshifts or possibly even one of the cars not lining up properly at speed. However, the M5 clearly out pulls the E63 S.
Honestly, though, either of these cars are faster than any sedan has the right to be and any enthusiast would be absolutely thrilled to own either. Next post Which is the best looking generation of BMW 3 Series?